Love it or loathe it, the office holiday party is a fact of working life, and all employees are expected to attend. Even if your attendance is not mandatory, failing to show up and make the effort will reflect badly upon you. Even if social gatherings are not your thing, there are plenty of things to look forward to at the annual office party. The following list gives ten reasons to attend all office parties and tips on how to make them work for you. Networking is an important part of business life, and doing it correctly can open up many doors. The office party provides the perfect opportunity for you to expand your circle of contacts, especially if staff members from other branches or departments will be attending. Getting to know your co-workers outside of the office is the best way to forge stronger professional relationships. No matter how tempting it may be, resist the urge to talk about work and instead concentrate on building a personal relationship with your co-workers. If you constantly regale your partner with tales from the office, why not bring them along to meet your colleagues in person? Most offices allow you to bring a guest with you to gatherings, and it will help to calm your nerves if you feel uneasy in social situations. Failure to attend your office party may make your bosses believe that you are not fully committed to the company. If your office gathering tends to be a formal affair, then your bosses are probably expecting you to put in an effort at networking and building contacts. The most obvious reason to attend your holiday party is also the best. Many larger companies put on a lavish display for their employees as a thank you for all of their hard work. If your company is offering free food and drink throughout the evening, then it is definitely worth attending for at least a few hours. Most of us never meet the people that work in other departments besides a quick hello in the elevator or employee bathroom. Having at least one contact in each department in your company is a valuable resource that may come in useful in the future. Free alcohol and an enclosed space tend to bring out the worst in some people, and it usually makes for great entertainment. Every office party has at least one highlight whether it is a co-worker on a drunken rampage or an overly affectionate manager. Many companies organize entertainment for their employees that can consist of live music, fancy dress, karaoke, or party games. A few will even give away free prizes as part of a raffle or for the best costume. Find out what your company is planning to do or drop subtle a hint to your manager. You have worked hard all year, now is the time to relax and enjoy yourself. If you feel nervous about attending a social gathering, bring a friend for moral support or arrange to arrive with another co-worker. Just take care not to overdo it on the alcohol. Usually, the only time you get to actually sit down with your manager is when there is a problem to discuss. 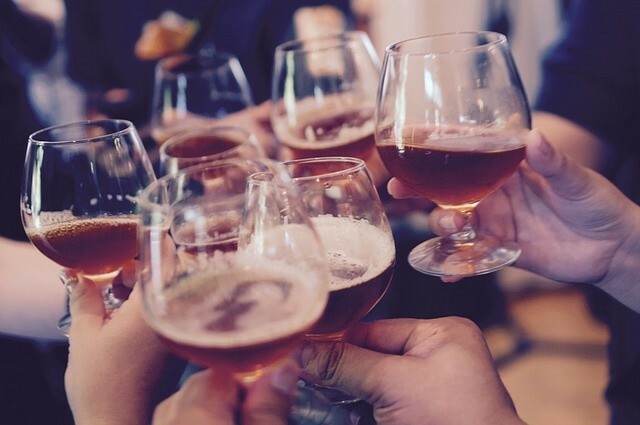 Use the office party as a time to build a personal relationship with your boss. If you do talk about work, try to limit it to only a few minutes and then move onto something more informal. Those who succeed in their professional lives know the importance of grabbing every single opportunity to further their career. Even something as mundane as the office party can actually be a fantastic way to increase your profile. Try to socialize with as many people as possible at every party as you never know who could become a valuable contact in the future.